Los Angeles – June 28, 2016 – HDNET MOVIES delivers the ultimate music and film experience with Graham Nash Presents 9 Days Of Rock Docs—13 documentaries hosted by GRAMMY®-winning music icon Graham Nash who will share personal stories about the featured artists as he takes viewers on an unforgettable journey that includes premieres of critically acclaimed documentaries, packed with rare footage and candid interviews with some of music’s most influential artists. The special event will double-bill in primetime at 8pE each evening from Saturday, July 9 through Saturday, July 16, and features films starring beloved acts such as Prince, David Bowie, Bob Dylan, The Beach Boys, Green Day, The Who, Eric Clapton, and many more, culminating in a day-long marathon on Sunday, July 17, that puts the spotlight on eight of Nash’s favorite rock docs. 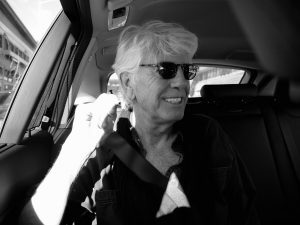 In conjunction with the event, HDNET MOVIES is giving fans a chance to win an Epiphone guitar signed by Graham Nash. Fans can enter to win by using HDNET MOVIES “Rock Doc” cover photo generator on Facebook available here: http://bit.ly/Graham_Nash_Giveaway.